Are Battery Powered Smoke Detectors Enough? We all want to provide our families with the best the world has to offer, and we would also do everything in our power to protect them from any harm. From surveillance cameras to smoke detectors, modern Atlanta homes boast world-class electronic gadgets that have been installed by hiring the services of an experienced Atlanta electrical contractor. However, the sad reality is that even though 92% of homes in this charming city boast of at least one smoke detector in their homes, 67% of all fire accidents happen in these same homes because the owners forget to replace the batteries of these devices. This brings to our mind an important question: are battery powered smoke detectors enough for the safety of our homes? As per the latest National Fire Protection Agency guidelines, it is mandatory to install smoke detectors on every floor of your home, outside your bedroom, hallways, kitchen, and exteriors of your home. They also advise you to interconnect all the smoke detectors so that if your garage catches fire, you can instantly hear the alarm inside your bedroom that is located in another corner of your home. There are different kinds of smoke detectors available on the market. Some of them are powered by batteries only, while the more popular kinds are 120 volts with a 9volt battery as a backup. Regardless of which type you have, you will need to replace the complete unit in 8-10 years. So which smoke detector is better? 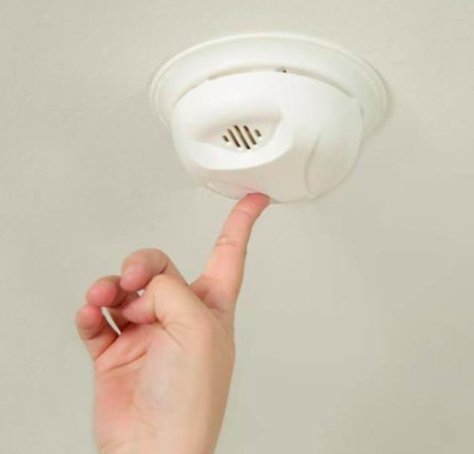 Battery powered smoke detectors: When making use of battery-powered smoke detectors, care must be taken to ensure the batteries is checked periodically, say, every month. You should also change the batteries at least twice a year. According to the National Fire Protection Agency, homeowners should change the batteries whenever they change their clocks. AC smoke detectors: Another option is to make use of AC smoke detectors, but these detectors do not work in case of a power outage. There are different types of AC smoke detectors that are on the market and have an internal battery backup. The internal battery provides you with safety even during a power outage and will recharge after the electricity has been restored. Before you consider installing these devices yourself, it is important that you hire an electrical contractor in Atlanta that will know where the detectors should be installed and the type that you will need to achieve maximum protection.